This 1920s sideboard is a fantastic example of a beautiful handmade piece of furniture. This lovely solid oak circa 1920s sideboard features a large mirror to rear and has a useful two drawer cupboard base section. It still retains all of its original locks and keys, and is in a lovely golden oak colour. In good condition for its age, this item is ideal for any period interior. 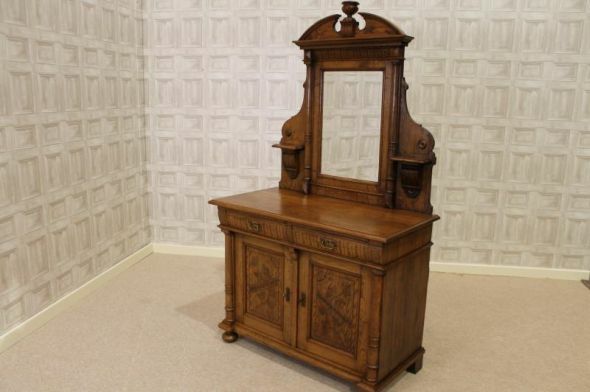 We stock a wide range of antique pieces of furniture which would complement this piece of furniture. Please see our other listings for more information, or contact us on 01543 375872.